For those relocating to the Charleston area, there’s only one place they look first: Mt. Pleasant. Over the years, it has become one of the area’s most desirable zip codes. Access to local beaches, family-friendly shopping centers, and its convenient location to the workplace has helped the city rise above all other residential areas. But the city would have never sold itself if it weren’t for the charming real estate families can find in the city. Plantation-style homes and the predominant southern/beach architecture has appealed to all sorts of buyers since the city first started growing. People enjoy the atmosphere of the town and the home setting. It’s a hub for those looking to relax, retire, and just have fun. One of Mt. 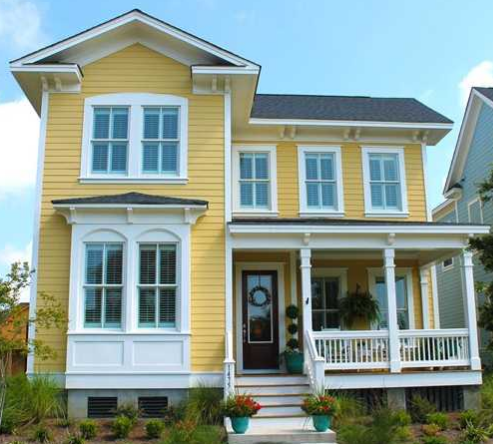 Pleasant’s newest neighborhood communities to sprout up is Carolina Park. The original developers and owners have gone through their hurdles over the years, especially during the ’06 real estate bubble, but with the revitalization of the industry in 2012, Carolina Park has been on the move again. The framework of the neighborhood has long since been in place. Curving streets and miles of sidewalks lap around Wando High School and connect to Park West. The dreams and future of Carolina Park have been laid down and soon we’ll all be seeing houses popping up along the neighborhood. 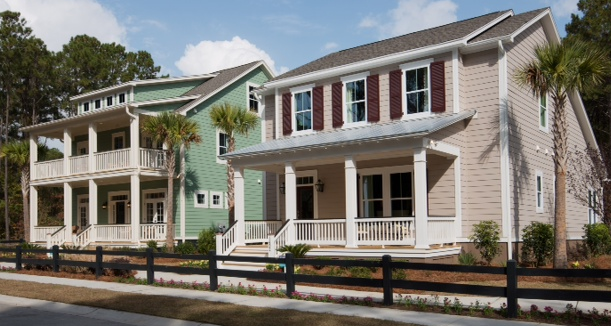 Local builders, Ryland Homes and David Weekley Homes, have set to build charming Lowcountry-style homes within an affordable range of $300,000 to $450,000. A second master planned community will host lower cost homes (with the same quality) in the $200’s. Additional amenities of Carolina Park will include a junior-sized Olympic pool, tennis courts, playground, and biking trails. Even though the neighborhood is situated a few miles from the town’s center, it still commands a convenient location for homeowners. Nearby schools like Wando High, Cairo Middle, and Pickney Elementary are all within a 5 minute drive. Grocery stores, parks, and restaurants are all located around the area as well, featuring some of the best in town. Carolina Park’s “smart growth” philosophy of building a community where residents can live, work, shop, and play all in one place is designed to shorten your commute and make the neighborhood the most idyllic place to call home. If you’d like to know more about Carolina Park and its development, feel free to give us a call at (843) 628-0008 or email us via our Contact Page.